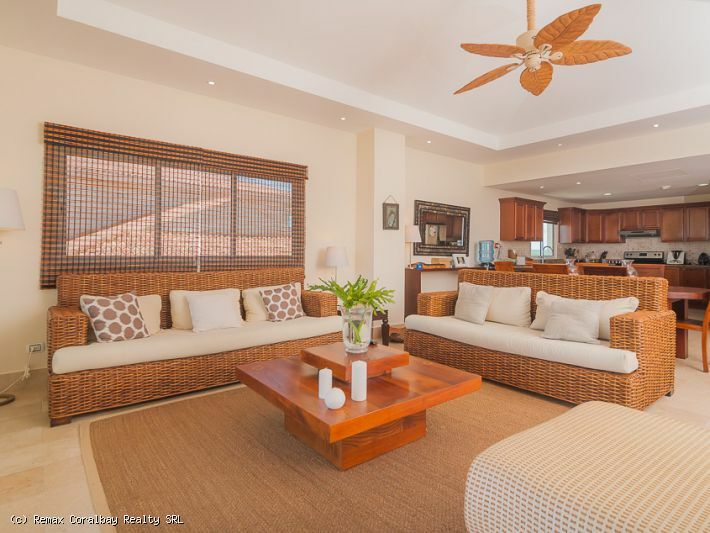 Located in the heart of Cap Cana, this condominiums offer sweeping view across the beach and the Caribbean sea and is offered well under market price at $US 850,000. The well thought out floor-plan offers large terraces, spacious living / dining areas and a well equipped kitchen. The luxurious bedroom also benefits from have direct access to the terrace. As well as being placed within a resort facility, these condos also come with secure underground parking, 24hr concierge service, swimming pool and lobby area. Located within the 30,000 acre resort of Cap Cana and only minutes away from the airport, there is more than plenty of activities to keep you occupied. As well as the on-site Jack Nicklaus golf course, the surrounding area features many more courses for the keen golfer with designs by PB Dye & Tom Fazio to name but a few. Additional on-site resort facilities include over 3 miles of pristine coastline, marina, ecological park, equestrian facilities and numerous restaurants. If your plans are to live here full time with your children, Cap Cana also offers a private school , which is recognized by the Ministry of Education and accredited by Ed/SACA. Great price and location in a well known condo-hotel. Located in the center town of Sosua at walking distance to the beach and all amenities …. 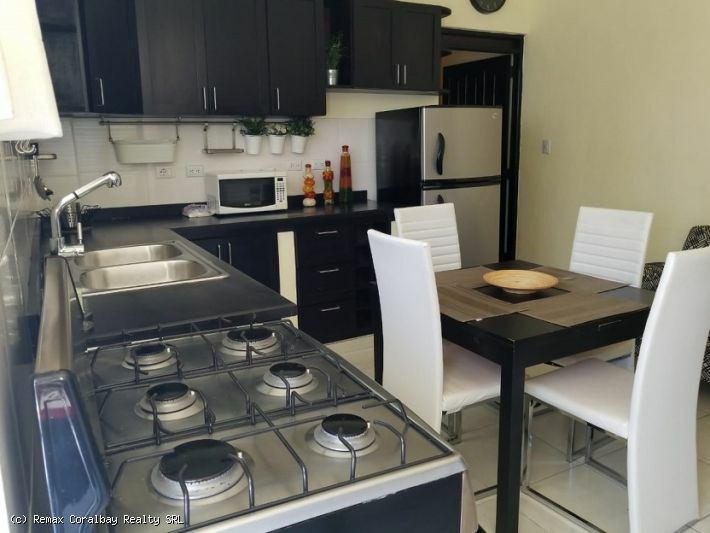 beautifully decorated modern style apartment with 2 bedroom and 2 bathroom … completely furnished and ready to move in … ground floor unit with A/C … great rental potential …. Located on a semi-private quiet beach, this elegant and modern 3 bedroom condo has everything you want in a beachfront property. 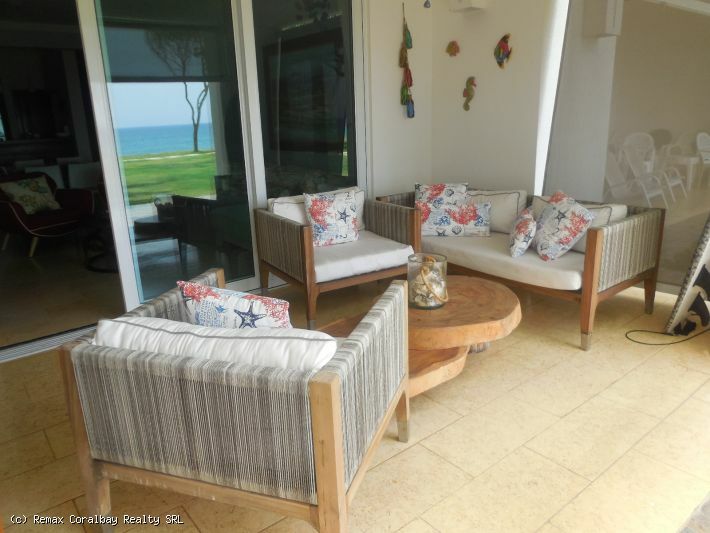 Very nicely furnished and ready to live in or simply enjoy for your vacation getaway. Set up to sleep 8, you have enough room for the whole family. Open floor plan with large living and dining area. Relax outside in the covered terrace, or walk right out to the beach side infinity pool. Just a few minutes walk away is a large complex with two restaurants, spa, kids water park, two story gym, and tennis club. Come live the resort style life on the beach! Additional pictures and information available from the listing agent.